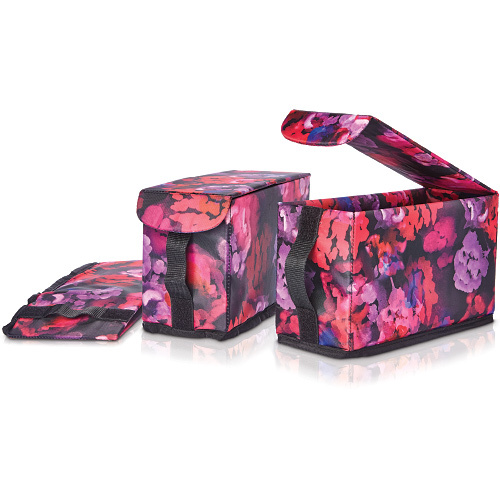 Organize, store, and carry your Mary Kay products in style with a set of floral Mary Kay storage boxes. Boxes can be used on their own or in the Insulated Base Case, Rolling Tote, or Trunk Organizer. Each box holds 24 Matte, Luminous or Medium Coverage Foundations, or other Mary Kay products including fragrances, lotions, body care products and more. Each set includes three collapsible storage boxes. Size: 10" x 3 7/8" x 5 1/4"